While away winter (and the Viadoom) with $7 pizzas at Serious Pie, top-shelf booze on the cheap at D&E, addicting fritti at Wilmott's Ghost and a $5 special starting at 2 p.m. at Miller's Guild. January and February are the best months for cheapskates to find bar deals. The gloomy weather, the New Year’s resolution to eat healthier (yeah, right) and this year, the congestion surrounding the Viadoom: All these factors amount to more drink specials and food deals as bars and restaurants want to lure you in on the slowest of months. Here are some of the best around town. Tom Douglas’ best happy-hour deal is a $7 pizza at Serious Pie (although pizza fanatics argue that’s not a pizza dough but a pastry masquerading as a crust, we can all agree it’s pretty damn good). 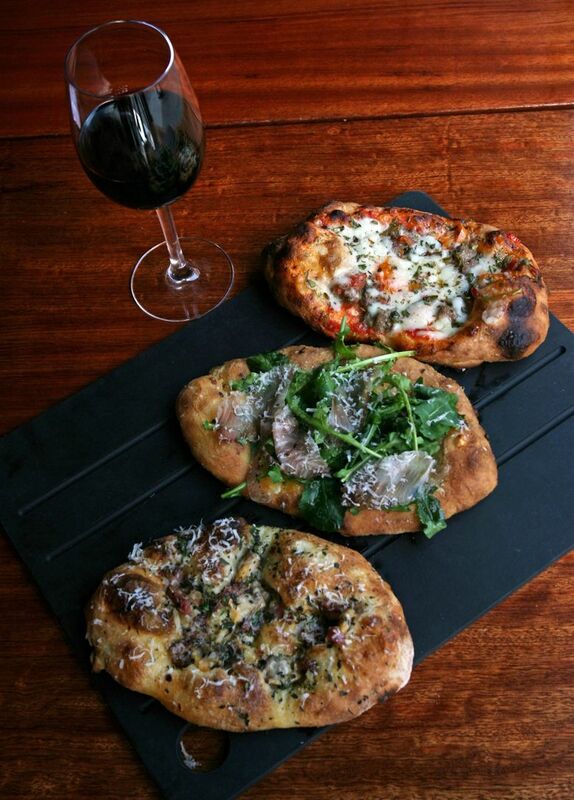 The deal offer during the Viadoom: Buy any three happy-hour pizzas and get one free. Note that the tentative end date to this pizza deal is Feb. 8. This is the happy hour for those who have a lot of free time, with a $5 special starting at 2 p.m. daily; it’s also a great deal if you can do a late lunch. Gussied-up bar food ranges from steak tartare (with anchovies, cognac, ground mustard, horseradish and fried garlic and shallots) to fried chicken sliders (with gochujang aioli and honey habanero coleslaw). Don’t miss the beef-fat fries. Or try various takes on the Manhattan for $8. This deal runs until the end of January. For aperitivo, Renee Erickson’s new restaurant inside The Spheres serves addicting fritti ($4-$5), deep-fried noshes stuffed with fennel, veggies and various cheese to go with a glass of house wine or an aperitif. For something more substantial, order the $15 happy-hour pepperoni pizza. The best drink deal in this city is the “break-even bottle,” where bar owners will sell you a shot of top-shelf or rare spirit at cost without the markup. This new bistro on a quiet stretch of Pioneer Square is welcoming customers with such a bargain, including an excellent El Jolgorio mescal for $5.50. Or just opt for the $2 can of Rainier. Happy-hour food is different from your usual wings and greasy fare; find European-inspired grub such as oxtail terrine and Spanish omelets.